Ruth Stultz and Company can help make your search efficient and less stressful by offering experienced agents coupled with the latest technological interactive search tools available. 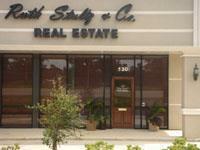 The agents at Ruth Stultz and Company are the cream of the crop! Cumulatively, they hold 70 years of experience and have handled thousands of real estate transactions. Their knowledge and professionalism will insure your real estate experience to be customized to your needs. If you are searching for a new home, thinking about selling your current home, investing in real estate, or just looking for general real estate information, we invite you to register with us. We will contact you by email to insure that all your questions are answered and help in any way we can. Please give us the opportunity to show you why working with us makes the difference. Thank you for stopping and taking a look at our website. Feel free to drop by the office and please let us know what we can do for you!